Please note that in order to take this class, you must take Introduction to Turning or Bowl Turning first. Sat Apr 27, 1030a-530p SOLD OUT! If interested in another date, call us (267-331-5880) or email us and you’ll be the first to know when the next date(s) are scheduled! The more names we have on our list the sooner the next class will run!! Class Description: Building on the skills acquired in our introduction to woodturning classes, this intermediate-level workshop is a perfect one-day challenge! 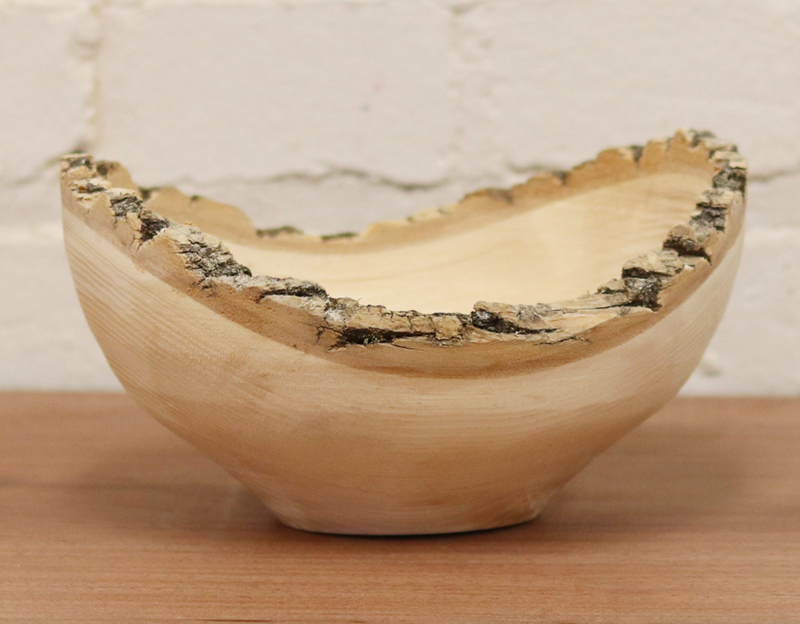 Alongside master woodturner Ed Youtz, you will further develop and hone your bowl turning skills as you make two bowls from rough sawn logs, one of which is a mesmerizing natural edged bowl – a staple of the advanced bowl turner’s repertoire! Natural edge bowls are both functional and sculptural with a gorgeous rim that undulates around the bowl – perfect for around the house or for a gift! Feeling a little rusty? No problem at all! This course starts off with a full review and refresher of bowl turning to get you back in the swing of things.